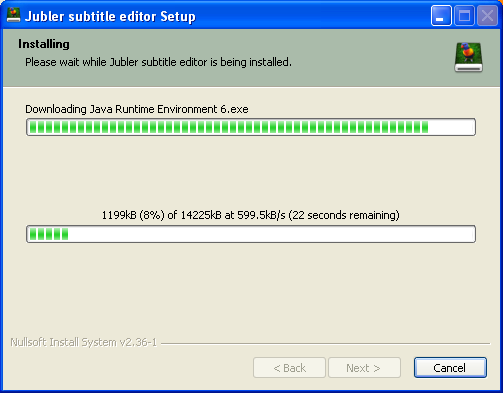 Note : Jubler can be tricky to install. If at any point you get stuck installing Jubler then one tip is to try the freeware Subtitle Workshop instead as it is easier to install but not as feature rich. 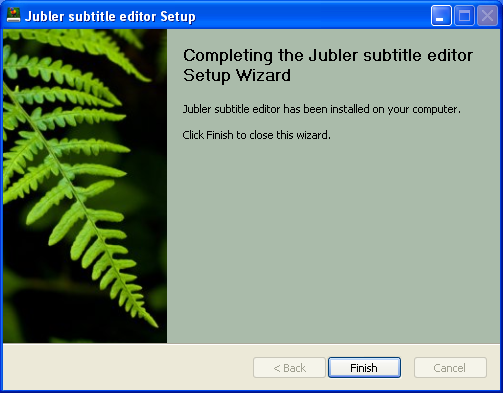 Jubler requires MPlayer and Aspell to play video files and spell check subtitles. 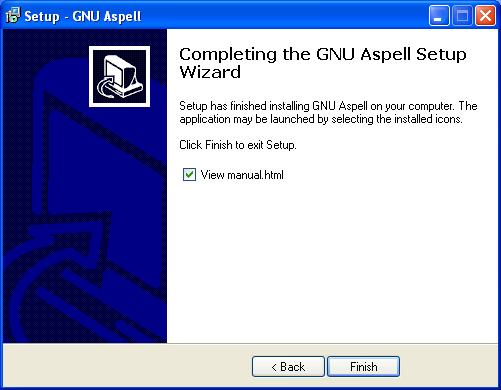 Before proceeding with this installation first install these two applications. 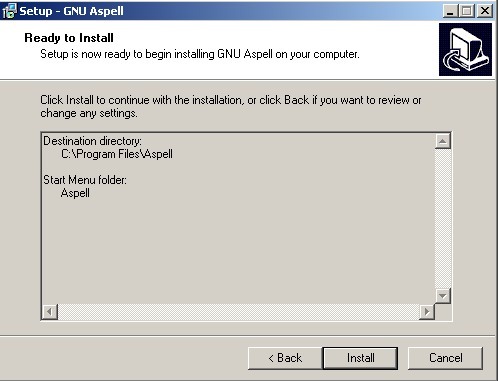 If you need some help we have provided information on how to install MPlayer and Aspell (in the sections after installing Jubler - you can follow the process exactly as see below, installing first Jubler and then MPlayer an then Aspell. 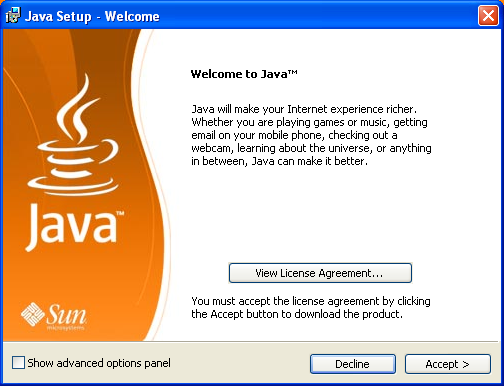 If you are using another browser like Internet Explorer or Opera then the above two steps would be slightly different. 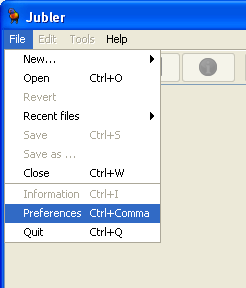 Click "Finish" and then start the programme from the Start Menu or from the icon on the Desktop. 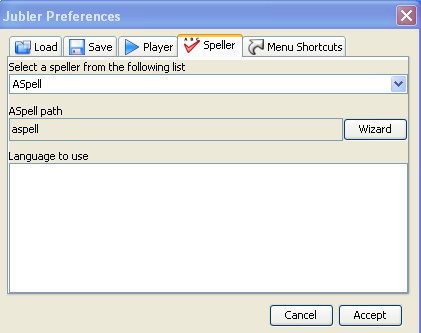 We want to select a version from the "HTTP" column. 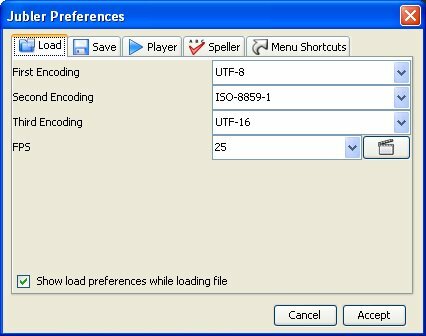 The choices in the columns reflect ways of downloading the files - it is not necessary to understand the difference between HTTP (Hyper Text Transfer Protocol) and FTP (File Transfer Protocol) and BT (Bittorrent) - just choose the 'HTTP' column. 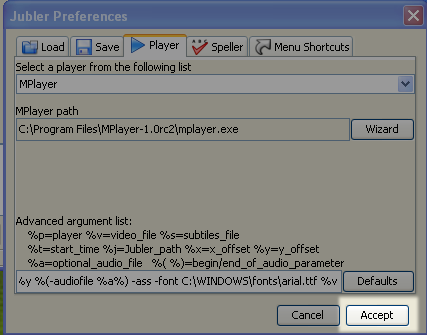 Choose the second download line which reads "Mplayer1.0rc.2 Windows" (the name may alter slightly as a new version may be available by the time you read this). 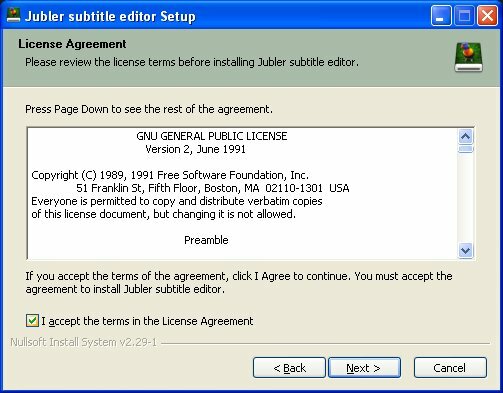 Regardless of the version you choose, don't choose the "GUI" version (line 3). 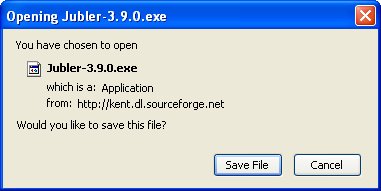 I clicked on the 'UK' link - this is not a choice of language it is a choice of download locations (ie. 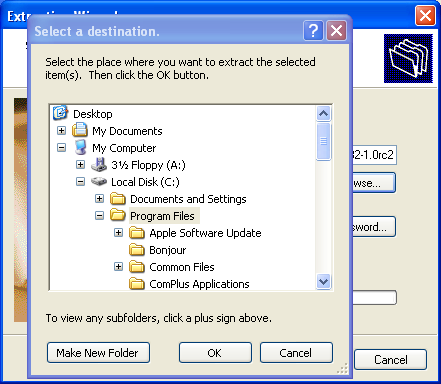 which country you download the file from - choose the one closest to you). 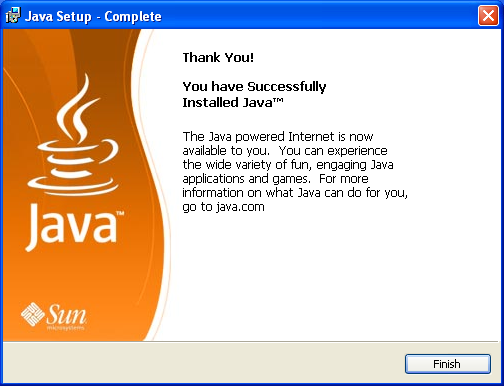 You may see something slightly different depending on what browser you use. 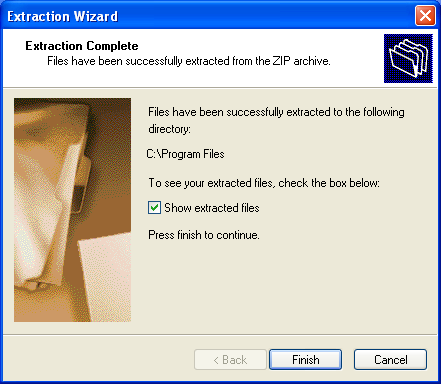 ZIP files are compressed collections of files and you must first 'decompress' or 'unzip' the file. 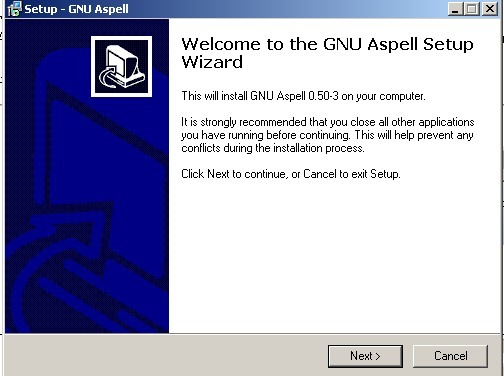 Windows XP and Vista have built-in helper applications for this. 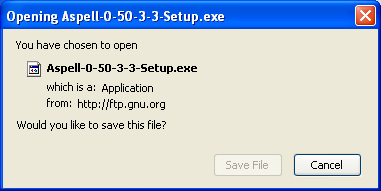 You need to Unzip the file to a location in your "Program File" directory (technically, it doesn't matter where you install the files, but it is good practiceto put them all software in the 'Program Files' directory). 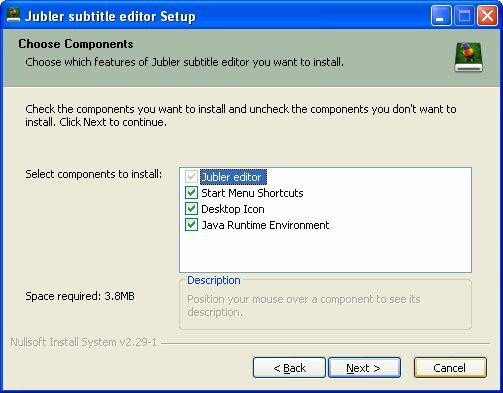 Do this by right-clicking on the file and choosing "Extract All"
Now we need to configure Jubler so it can use MPlayer and Aspell. 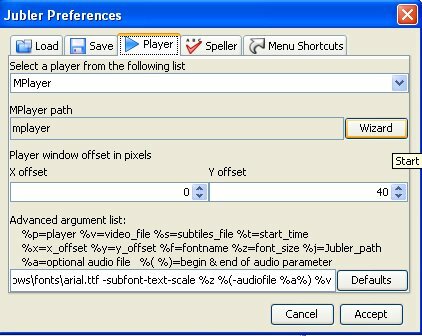 Click on the Player Tab at the top. 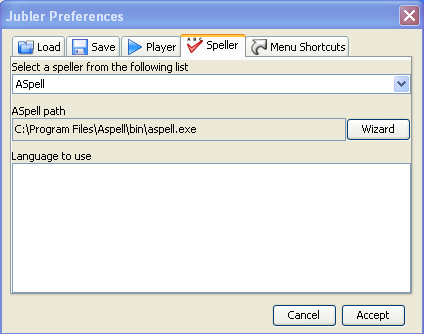 Now select "Automatically search for the exexutable" rather than the manual option, and press Continue. 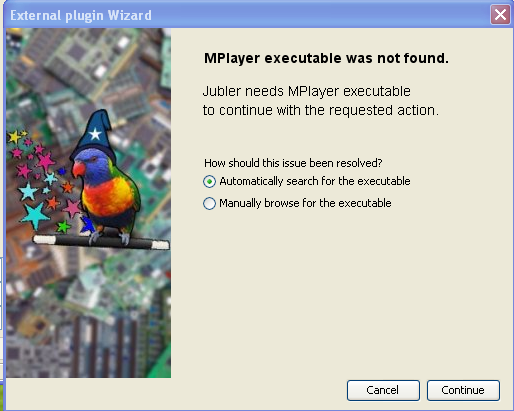 Jubler will then search your computer for the location of MPlayer. 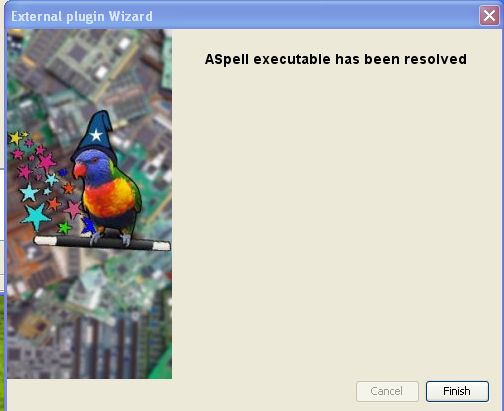 This wizard should then pick up where your MPlayer file is. 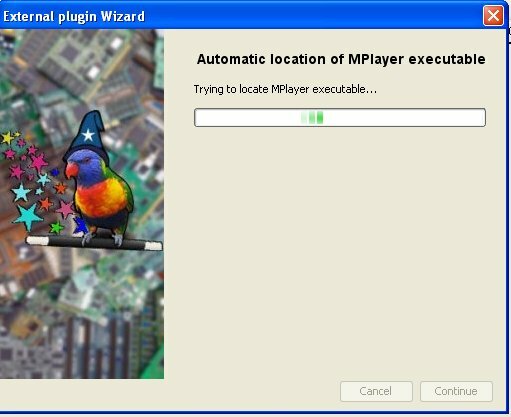 If so it will say MPlayer executable has been found. 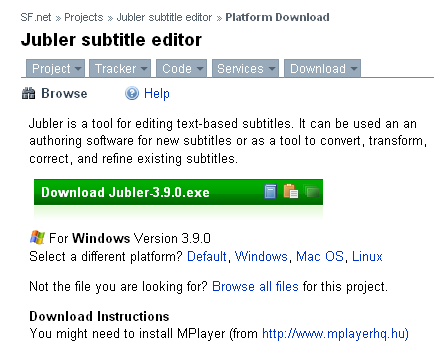 Now open Jubler and once again Select File > Preferences. 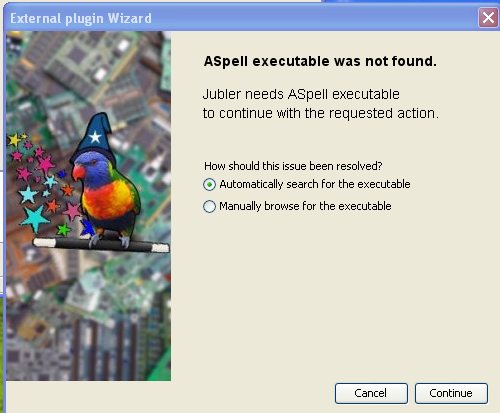 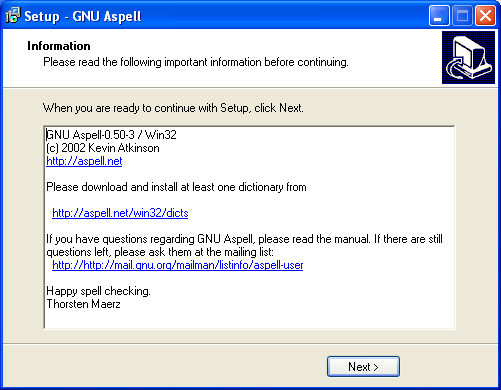 Select "Automatically search for the executable"
Click on "Continue" and Jubler will start searching for Aspell and Juber should come back with a message that the executable has been found.